There's really only so long I can go without a sweet treat. Having vowed to eat sensibly for the rest of my life and stuck to it for the last two and half years, most days, I am still careful about just what I put in my mouth. 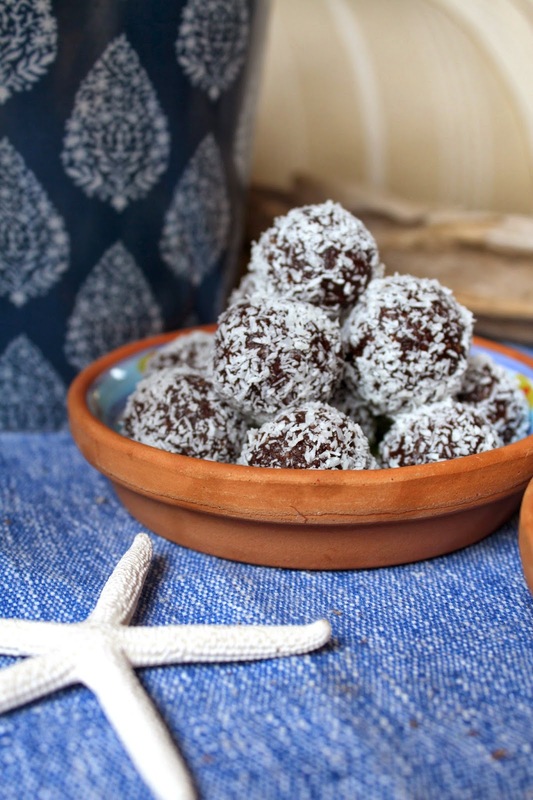 Cue the Vegan Chocolate and Date Balls with Coconut. 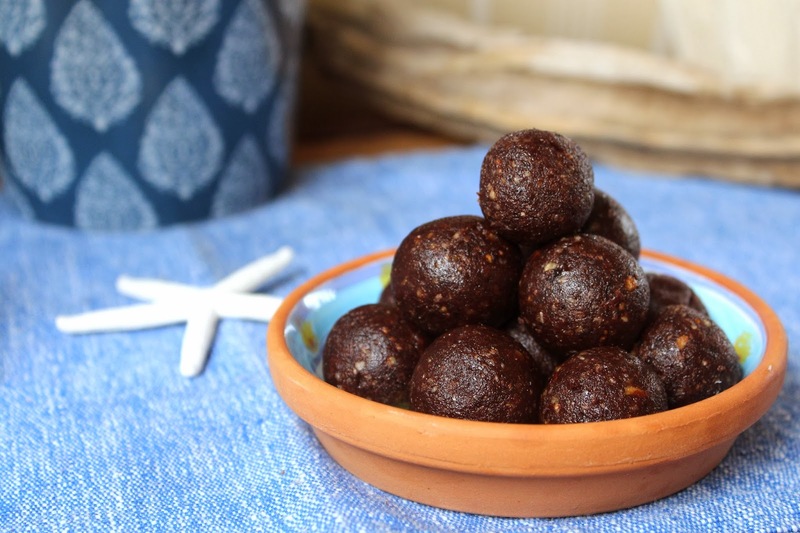 It does sound all mother earth, I know, but actually these are really yummy and although packed with calories, they are highly nutritious ones. 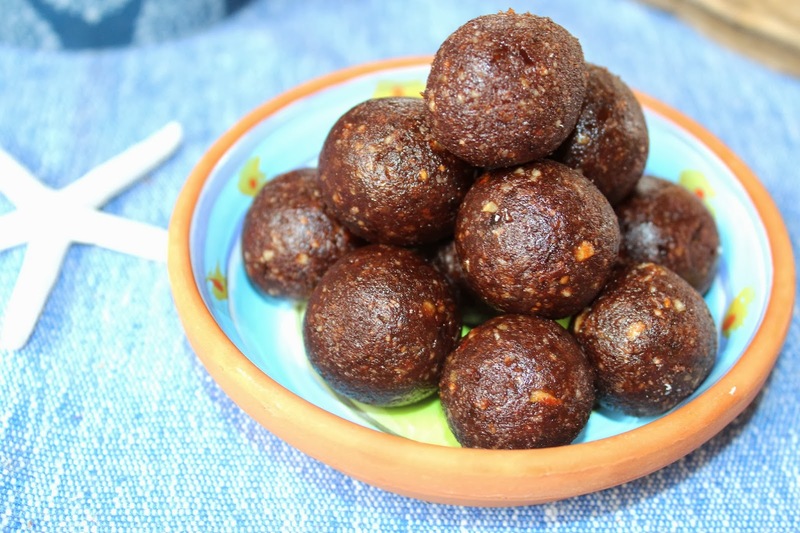 I make them small and the protein in the nuts means if I have three of them with a cup of tea, I feel satiated for several hours afterwards. I am also strict about the type of dates I use. I bought medjool dates, because although pricey, they have none of the nasty stuff in them like other dates do. such as preservative 202, added sugar or palm oil, the cultivation of which, is responsible for a large part of the destruction of the world's rain forests. Sermon over. But seriously, there's no point pretending to eat healthy, when there's all that junk in them. Place all ingredients in a food processor and blend until mixture comes together into a sticky ball. Use tiny amounts of extra water if needed to bring it together. Like most things, these are even better the day after. 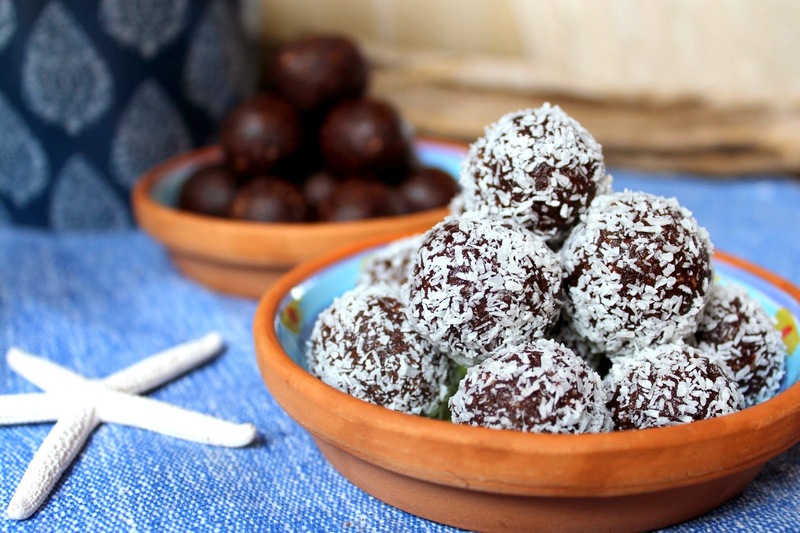 These are a delicious alternative to conventional sweet treats and very easy to make. Best of all they are really good for you. Perhaps the other reason I needed a pick me up this weekend, was the family and in particular, me, have been well an truly neglected by Mr Beach House lately. The sailing season is drawing to a close, praise the Lord, but that means his attendance at sailing regattas, often for a week at a time, is reaching a crescendo. We have not spent a weekend together as a family, in more than a month and I am feeling it. I am pretty low maintenance Beach Dwellers, but there is only so much a girl can take. This gift from him on Friday night, kept me going for a while longer. 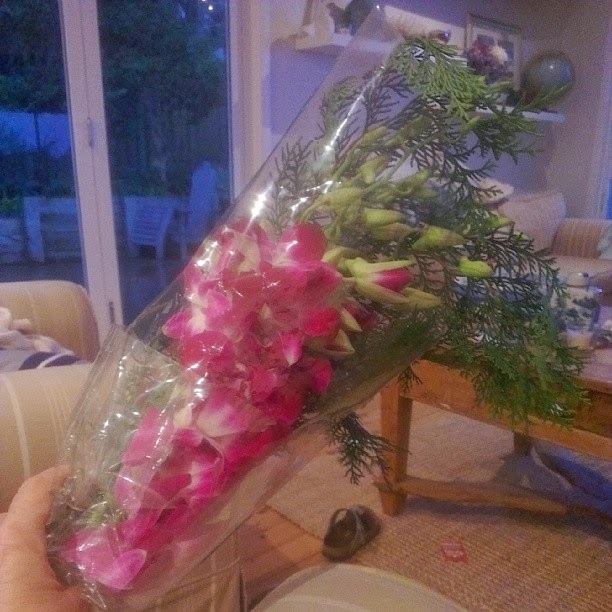 Many women wonder what their husbands have done, when they arrive home on the door step with unsolicited flowers. I know the only other women in Mr Beach House's life are his yachts. But it's nice to be appreciated occasionally. A small gesture goes a long way with this girl. And deservedly so Carolyn. I love getting flowers. 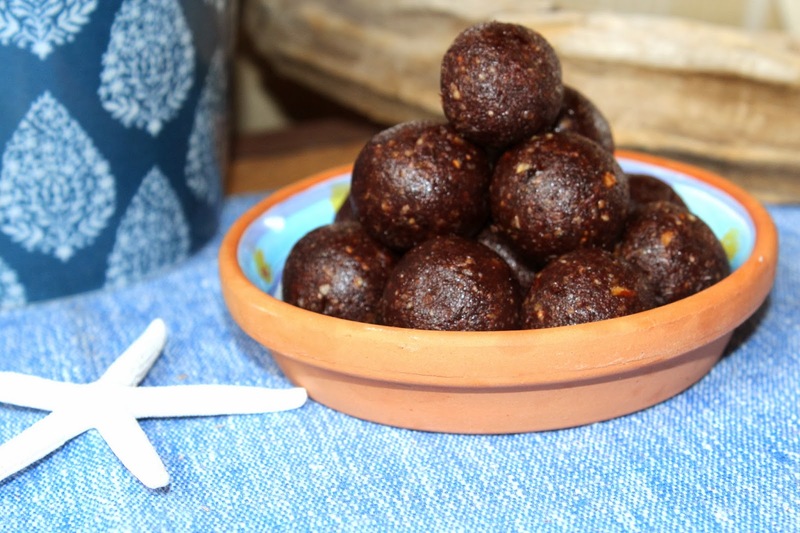 The date balls look delicious too. Delicious looking and they look (from the ingredients) very healthy. They look great! I would love it if you would share on my Tasty Tuesday party! Yum! These look like little balls of goodness!! These look great. Love the photo with the beach style twist, very you. Here's to the end of sailing season. But at least he did bring home some flowers. Small mercies. How long til France??? ?